Our U9 hurlers celebrated a successful year in KBowl last Sunday. 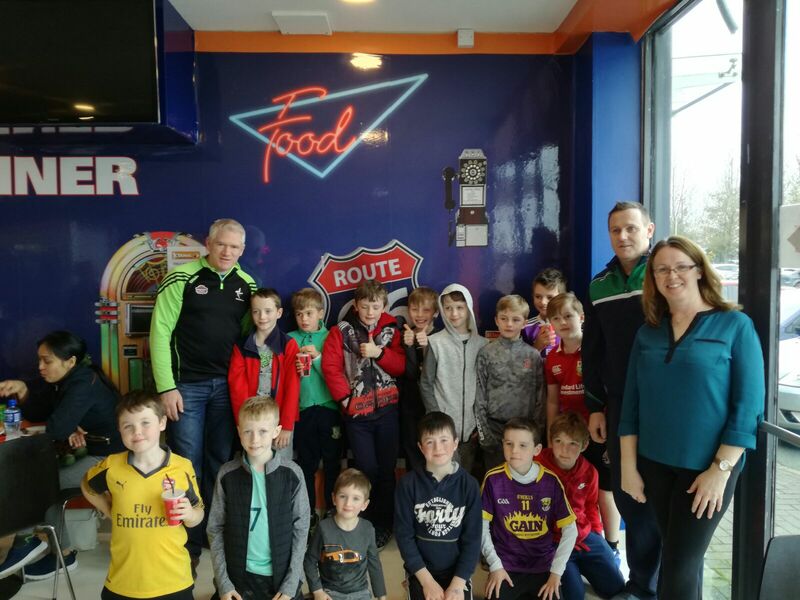 The lads deserved a fun afternoon out after all their hard work in training during the year and successful campaigns in both the Spring and Autumn Leagues. It was great to see them have fun and build friendships off the field. The future is bright! Moorefield Abú! 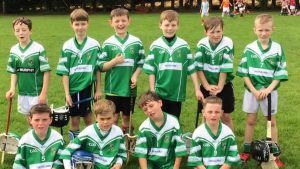 Moorefield’s U9 hurlers travelled to Maynooth Sunday morning for another fixture in the Autumn League. They were up against a strong Maynooth side but despite going behind this team showed real grit and commitment and finished out the game strongly. Mark’s perseverance throughout paid off with a couple of fine points in the final quarter. Strong performances also from Liam, Patrick and Calum who made life difficult for the opposition. Well done lads! Moorefield Abú!! Another great display from the U9s who traveled to Cappagh this morning in their 1st game of the Autumn league. They showed the fine skills of jab lift/roll lift in the longer grass, hand passing and scored several points from distance. A special mention to Daire(DJ) and Cian Roche who played their 1st Hurling games for Moorefield today and will both be a great assets to the team in the weeks ahead! Well done everyone.